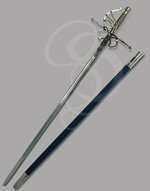 This is one of our most attractive rapiers. It features a large basket with intricate design. The grip consists of alternating layers of steel and polished wood. The blade is 33 inches long and made of tempered high carbon steel. 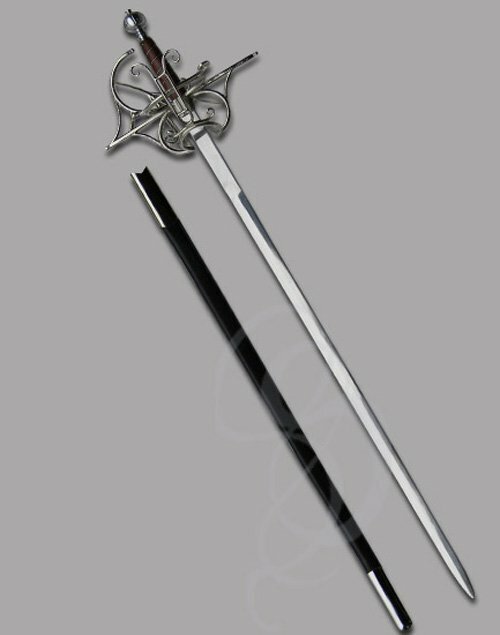 The sword is available with both unsharpened and sharpened blades. 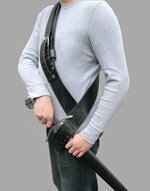 Included is a leather scabbard. was very surprised to see such a fine rapier. 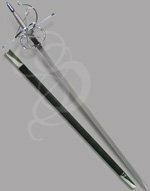 craftsmanship was awesome... if your looking for a great rapier this is the one !! !